Latest > E&S Culture > Take a (constructive) break. 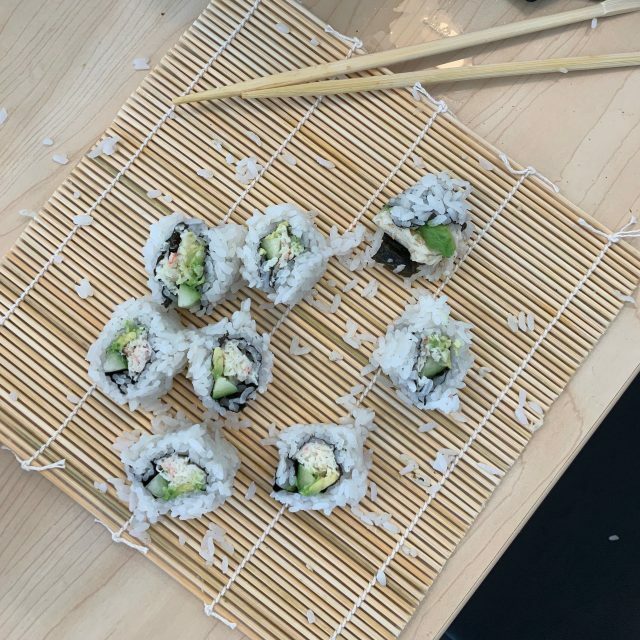 Have you and your co-workers ever organized an entire home improvement store then learned to roll sushi in the same day? For everyone at Ervin & Smith the answer is yes—it’s part of a new tradition called Creative Academy days. One day per quarter, we close the office so the whole agency can spend time together through hands-on learning opportunities designed to help us create, connect, refresh, give back and thrive. It might seem counter-intuitive, but taking this short break only makes our work, and working relationships, stronger. 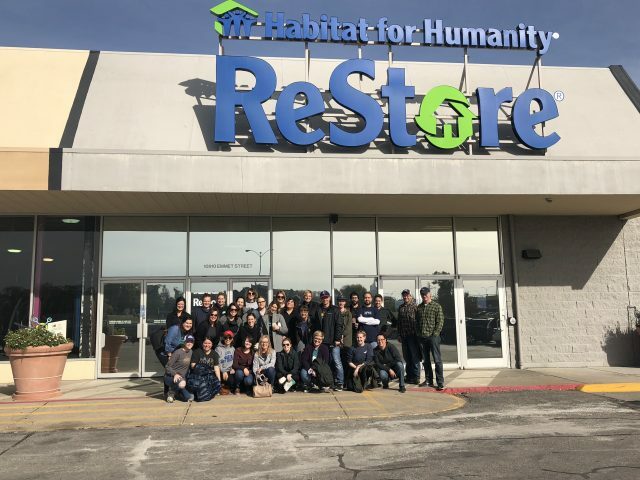 We started the day at the Habitat for Humanity ReStore, a retail store that sells pre-owned building materials, furniture and more. The staff there put us to work right away, organizing and straightening inventory and moving donations to the sales floor. Not only did we get to use skills (and tools) we wouldn’t normally use in our everyday roles, we also got to work with people outside of our normal teams. And as anyone who has ever moved apartments can attest, trying to communicate while moving furniture takes a very different set of skills than composing a nice email. 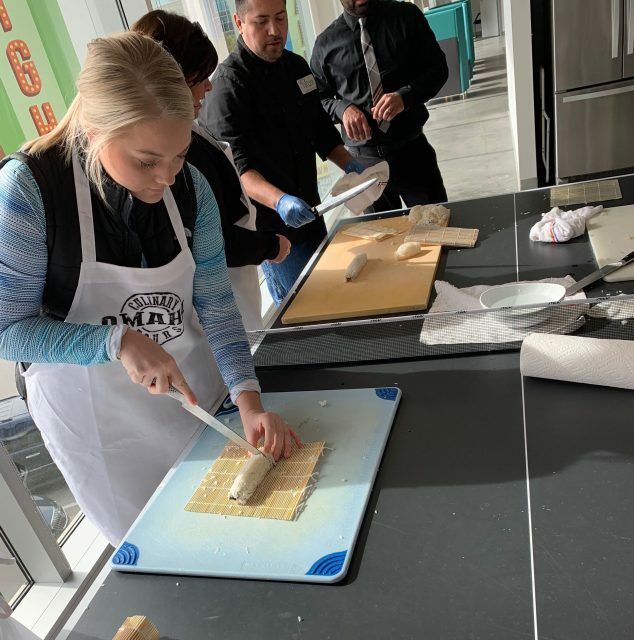 After the Re-Store, we came back to the office for lunch and a sushi-rolling class put on by Omaha Culinary Tours and our Aksarben neighbors, Ponzu Sushi. If you’ve ever tried to roll sushi without making a mess, then you know it’s not easy. Our lesson was a delicious reminder about trying new things. Push through the fear of failure, get comfortable asking for help and don’t freak out when your hands are covered in sticky rice. In all seriousness, it feels good to cheer on your co-workers when they overcome a challenge or genuinely surprise you with their creation. The last part of the day, it was up to us to decide how we wanted to spend our time—exercising, reading, catching up on personal to-do’s, whatever we wanted. But before we left for the day, we took a moment to reflect on our experiences together, which might have been the most valuable exercise of all. We talked about how nice it was to step away from the office environment for a while and work with new people. We learned new things about each other that wouldn’t have come up otherwise. We realized we’re not a team just because we work at the same place, we’re a team because of the connections we create and the actions we take every day to work toward the same goals. How mentoring drives a best places to work culture. Culture innovation continues, E&S named best place to work for third year.